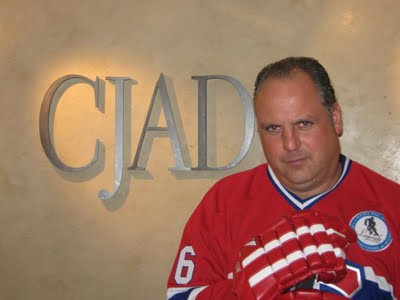 The folks at THE TEAM 990 must be pinching themselves now that they have a seven year agreement to become the official English language radio broadcaster of Montreal Canadiens games. Talk about really putting a station on the map! When THE TEAM 990 was launched 10 years ago it was part of a new national network conceived by CHUM Radio. They got the rights to the Expos and eventually the Impact, while falling short in their bid for the Habs. When the Montreal Juniors came along they inked a deal with them – an excellent move in anticipation of the day they’d get another stab at the Canadiens. While THE TEAM network did not stay afloat, locally station general manager and veteran drive home show host Mitch Melnick found ways to remain viable. They built a loyal following which initially did not translate into big numbers in the Bureau of Broadcast Measurement (BBM) ratings. However, it was clear that advertisers were getting a response by reaching their key target markets. CJAD might have been the official voice of Canadiens hockey, but THE TEAM 990 nonetheless ran comprehensive pre and post game shows. The morning show featured either hockey experts Bob McKenzie or Francois Gagnon as regular guests. Next up was Tony Marinaro, who proved to be one of the great hockey minds in the city. He always came up with superb guests and a fair share of scoops to the point where even the French media were listening to him. Former NHLer PJ Stock had a show for a few years. 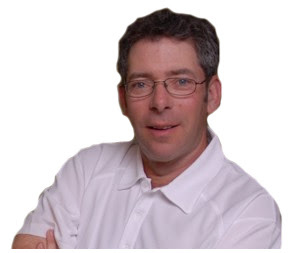 When he left the old pro Randy Tieman stepped in. The Marinaro-Tieman Intermission Show at noon is great radio. And what can you say about Melnick? He has been around for decades, does not hold back any punches and produces a neatly choreographed show which is best during hockey season. His weekday 5:25 pm chats with TSN’s Pierre McGuire offer enormous insight into the game and whatever breaking news is occurring that day. A few years ago THE TEAM 990 started their own pre and post game Canadiens shows. Marinaro handled most post game programs and it was always fun to listen to him pick apart a loss or slump. I certainly hope that Elliott Price (top photo) gets the play by play job – if he wants it. He has two younger children at home and this job entails a lot of travelling. Bews has an interesting choice to make in terms of the colour commentator. Sergio Momesso (above) stepped into the role alongside Rick Moffat last season on CJAD. The former number 36 for the Habs and NDG native was well received by listeners, particularly after all of those years that we had to listen to the awfully boring Murray Wilson. Sergio wants to move over to THE TEAM 990 and my sources tell me he will be given strong consideration. Then there is Chris Nilan, the former Habs enforcer who has virtually been auditioning for the job via the Melnick show since last winter. It is indeed a tough choice for Bews. Shaun Starr did an impressive job handling colour commentary for Price with the Juniors. Would THE TEAM 990 go the unconditional route and use a non-player besides my choice Price? Perhaps THE TEAM 990 has some surprises in store for us. Bews promises some news for us by August. Any chance Team 990 would get the Als for next season? Do you think team 990 will try to get the Alouetttes for next year? What will happen to Rick Moffat?